My family and I have just returned from a wonderful holiday in Torquay arranged by the local charity Torbay Holiday Helper’s Network (THHN). 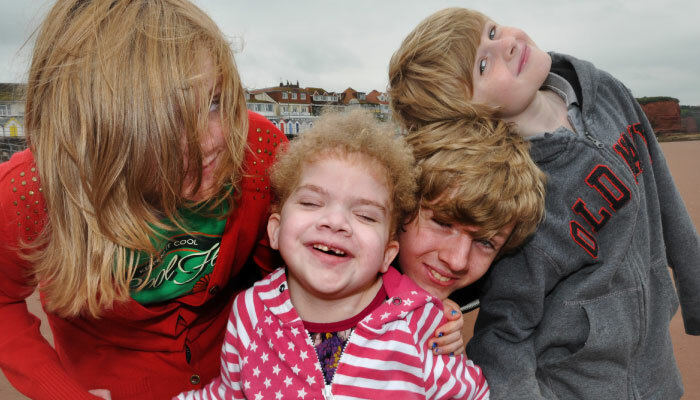 THHN is run by Luke Tillen (proprietor of the Hotel de la Mer in Babbacombe) and organises much needed short breaks for families with life limited children. We contacted Luke at very short notice to see if there was any chance of a break. We have four young children and our youngest, Daisy (6) has a very rare genetic condition called Costello Syndrome she also has complete intestinal failure and relies on intravenous nutrition delivered via a Hickman Line into her heart. She has spent over half her life in hospital and family time is very precious as the complications of her condition become more and more problematic. We had been in hospital since February with Daisy when we contacted Luke and had just been told that while we could go home for a few weeks in the summer she would need to return to Great Ormond Street in early September for a 6 hour operation which has major risks. With very short notice Luke found a hotel in the network with availability for all six of us and offered us a week’s holiday. We enjoyed the most wonderful week in Devon, staying at the Rutland Hotel in Daddyhole we enjoyed wonderful lunches at Hanbury’s Fish Restaurant and The Cliff Railway Cafe, visited many local attractions and were able to have normal time as a family, away from a clinical hospital ward. The highlight for us was the opportunity to use Faith’s Beach Hut, donated to THHN by a family in memory of their daughter who passed away . While there Dougie from Peacock Dreams Photographers came along to take some family photos. Family time for us is so precious and time away from hospital and medical stuff so rare, THHN gave us the opportunity to just be a family and have fun for a few days. The work that Luke does is amazing and the companies and businesses in the Torbay area who give so much to the families in terms of tickets, meals, and experiences are so incredibly generous. Our memories and photos of our holiday together will keep us going during some very trying times ahead – thanks to Luke and THHN.